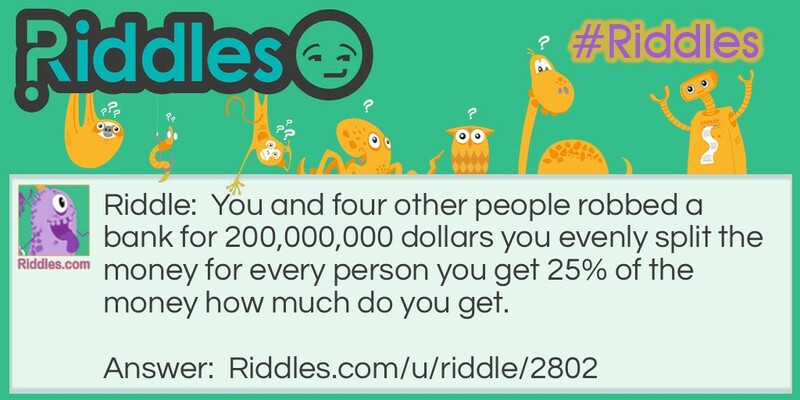 You and four other people robbed a bank for 200,000,000 dollars you evenly split the money for every person you get 25% of the money how much do you get. You get a 100% cut because 25% x 4 = 100%. Not hard Riddle Meme with riddle and answer page link.